First 4 Weeks Are Free! New to Centron? In addition to offering you low prices, your first 4 weeks are free on select units. Also save 10% on storage supplies with orders over $40. Just tell us you saw this offer and we will automatically discount your purchase. 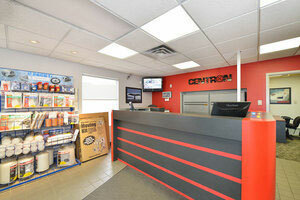 Why Centron Self Storage in Toronto? Our Toronto storage location near Danforth Village and The Beaches has been serving our local community for over 25 years. Our clean, up-to-date facility employs state-of-the-art technology and a fully-trained staff to ensure your belongings stay safe 24/7. We offer drive up storage, a wide variety of unit sizes, moving and packing supplies, as well as affordable storage solutions for small and medium-sized businesses. We provide the best value in the neighbourhood by offering great service and lower prices than many of our competitors. Our friendly staff will take care of you and your stuff, satisfaction guaranteed. 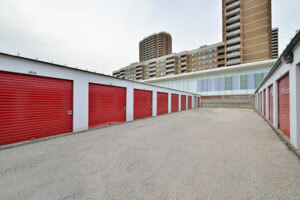 "I used a storage unit at Centron while my house was under renovation. The service was fantastic! Being a first-time user, I had lots of questions. The office staff were knowledgeable and got me the perfect unit for my needs – for a great price. My storage unit was very clean and easy to access. They even gave me a free van to move my things!" "Centron place a lot of emphasis on security. There is nothing more reassuring than knowing your precious possessions are safe. I also like how well-lit, airy and clean their units and premises are." "Great location, great staff and great facility. Have been using them for quite a while and have no complaints – definitely recommended." "Excellent customer service! This time I used Centron for my office files. Perfect place with easy-to-use service. And I was always happy to see the friendly staff." Serving our local communities for over 25 years, our satisfied renters continue to rate us highly. Centron’s facilities have the best reviews in our local markets. Rent, reserve, or access your storage unit any time, any day. Our fully-trained staff also ensure your belongings stay safe 24/7. Centron Self Storage is now one of the few storage facilities to offer online storage rentals and reservations. It’s easy! 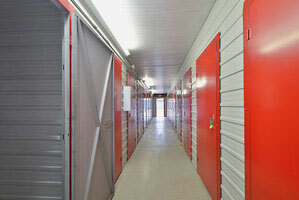 Rent or reserve your storage unit in just 5 minutes. We offer state-of-the-art security including motion detectors, surveillance cameras, inspection rounds, and fully fenced facilities. Suggested Content: Small furniture, 5-10 boxes, clothes, personal records, small dresser, chairs. Suggested Content: Contents of 1-2 rooms, 10-20 boxes, bicycles, and small items. Suggested Content: Contents of a 1 or 2 bedroom apartment, major appliances, 30-50 boxes. Suggested Content: Large 2 bedroom, condo or small house, major appliances, 50-70 boxes. Suggested Content: Contents of a 3-4 bedroom house, major appliances, car / truck / boat.